Champagne is a bubbly beverage named for a region of France of the same name. 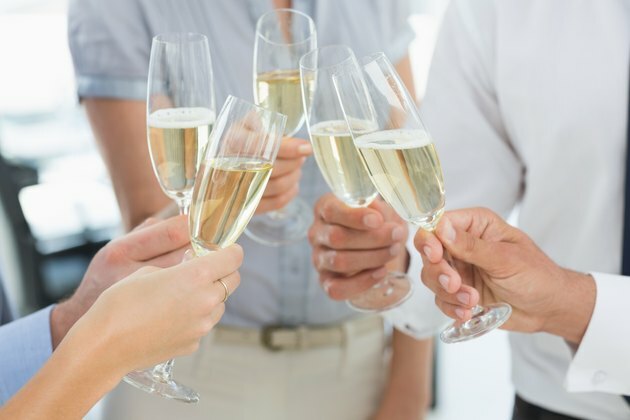 Because champagne contains alcohol, it can be high in calories. Moet & Chandon was founded in 1743 and sells lines including Imperial, Rose Imperial, Nectar Imperial and Grand Vintage. LIVESTRONG.COM MyPlate states that a 100-milliliter serving, or 3.4 ounces, of Moet Champagne contains 83 calories. This serving size is the standard volume of a champagne flute. Moet Champagne contains 2.6 grams of carbohydrates per 100 milliliter, 0.07 gram of protein and no fat. Alcohol clocks in at 7 calories per gram. MyPlate indicates that 100 milliliters of Moet Champagne provides around 10 grams of alcohol.